Games are the best resource to kill our time. Many popular Games like Mario, GTA-5, Temple Run and now even PUBG made a huge impact on youngsters. The chances are high that you have played one of these at least once in your life. Now you must be wondering. How are these games developed and also by using what programming languages. There are literally thousands of programming languages out there (although it’s worth saying that only a very small subset are used frequently), so how does a fresh new game designer-come-developer know where to start?. You will have an answer to this in this article. Many game developers will tell you to learn C++, but this is only a small part of the story. There are many other languages too which can be used to design games. 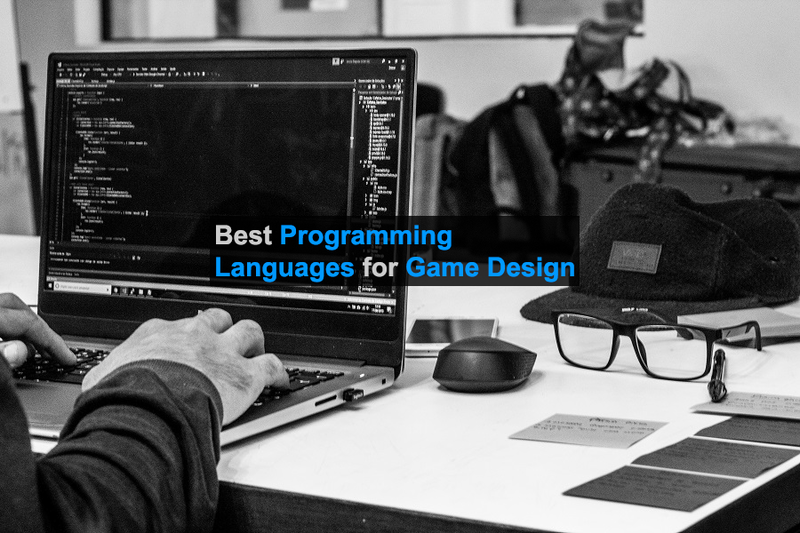 So I have picked the 5 Best programming languages for game design just for you down below. C++ is a great programming language as it is purely based on OOPS (Object Oriented Programming ) concept. When properly written, C++ code achieves fast execution and this is what a user want for games. It is widely used to build most of the big consoles and Windows games. Many AAA games are built using C++. Many cool game engines support this programming language. For those hoping to develop games for the Android platform, Android Studio can be used in conjunction with the Java NDK ( Native Development Kit ). C++ game libraries have also got you covered –SFML, Ogre3D. C# is another amazing and powerful programming language to learn for game development. In some cases, it is the first preference of game developers because of its support on Unity3D. (One of the best game engines out there). With C#, games can be developed for almost any size and any platform out there. Big games or small games? No problem. Xbox or Windows? no issues. Play Station or iOS or even Android? No problem at all. On the other hand is much easier than C and C++ and can easily be mastered as well. This language is also an object-oriented language which is most popular among almost any kind of developer. The reasons can be different but its functionality will be the same. Java is useful for building cross-platform games. With Java, we can build games for desktop, and for mobile as well. Although it is also considered as an official language for Android game development. Maybe because of the presence of so many game libraries out there developed for it which should be explored, for example, LWJGL, a lightweight library which uses OpenGL for rendering. So these were some of the picks regarding Game design and development. If you have any better suggestion let us know in the comment section below.